Hello and welcome to McCall’s cub scout pack 246 web site. 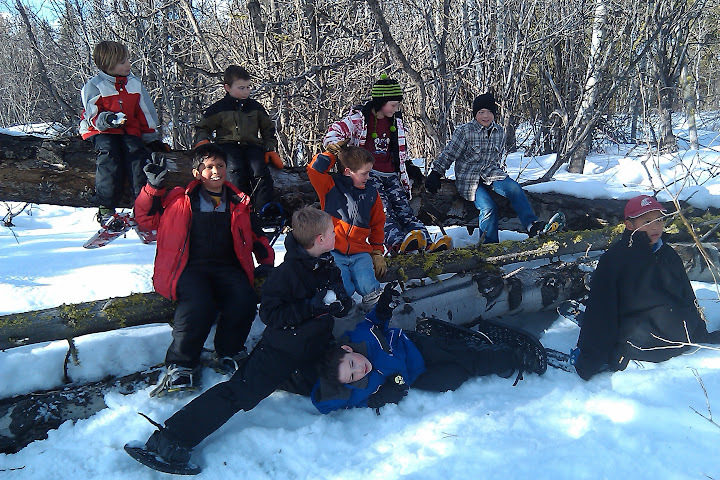 Keep up to date on what is going on with McCall cub scouts and keep in touch by posting in our forums. 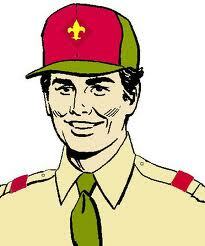 You can also email the scoutmaster for more information . 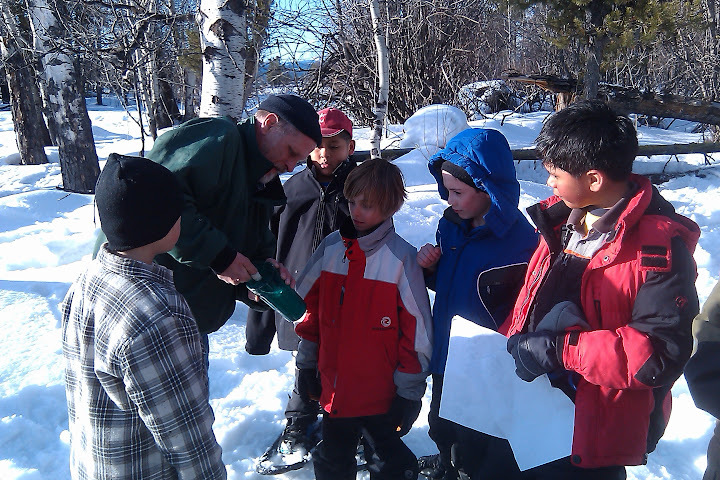 Tonight McCall pack 246 went for a snow shoe adventure. After getting on all our snow shoe gear we headed out on a beautiful evening walk in search of fresh animal tracks. The rain last night made it difficult to find any new animal tracks. After searching a bit we did find some red fox tracks and lots of K9 tracks. We finally settled on trying to make a cast of one of the dog tracks so we could see how they are made. 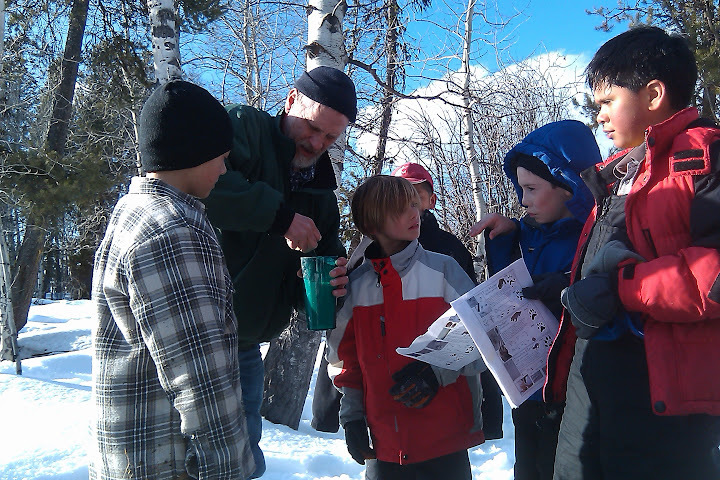 Wild life biologist Rob helped the boys mix plaster of paris and prep the track for casting. Once the plaster of paris was poured the boys gathered twigs to make a fire. Several boys tried to get the fire started with only one match but soon discovered that was a very difficult task. After about 30 minutes and lots of fun around the fire the cast was ready to look at. Rob carefully removed the snow from around the cast and we were left with a wonderful print. Monday night saw the start of the great pine wood derby build off. 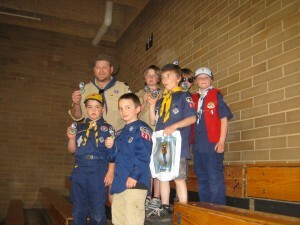 today the McCall boy scout troop 246 met and many of the boys earned there first merit badges.